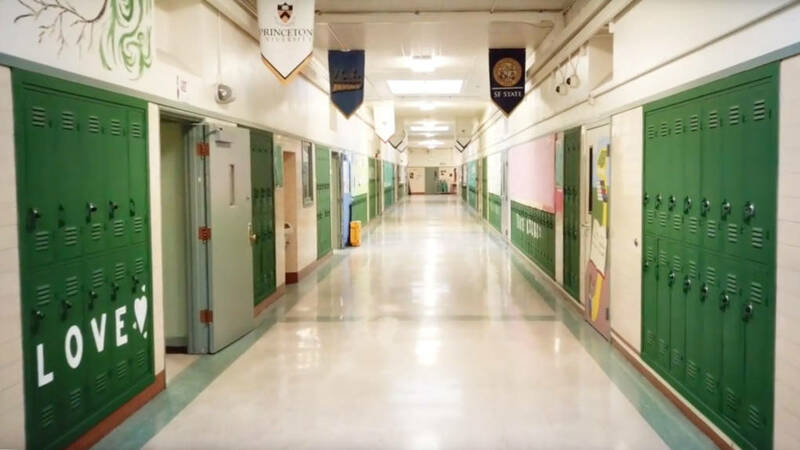 As part of a controversial consolidation effort, Oakland's school district recently revealed a plan to merge two distinct elementary schools located in different neighborhoods. 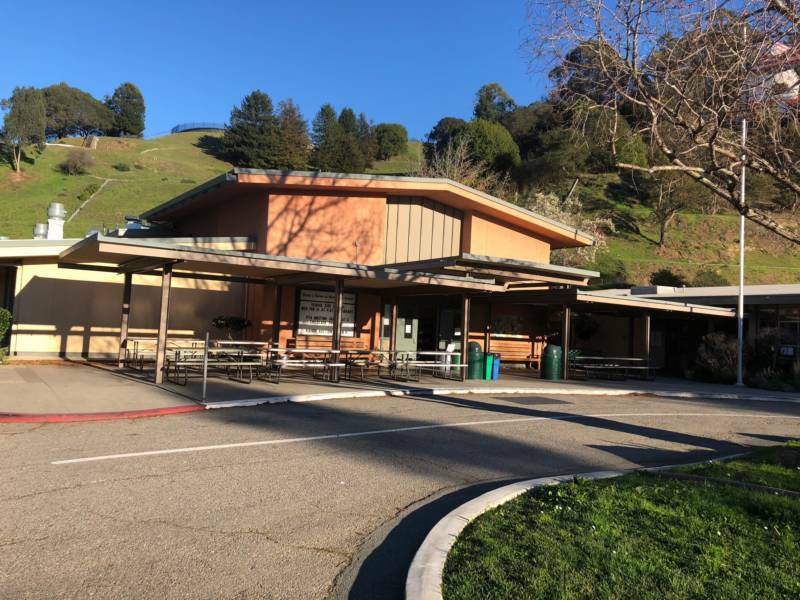 The plan calls for shuttering Kaiser Elementary School in the Claremont Hills and relocating its students to Sankofa Academy, which is located in a roomy building in Oakland's Bushrod neighborhood. If approved by the school board, the move would combine schools with dramatically different socioeconomic and racial profiles. Under the plan, all 275 students at Kaiser, along with its teachers, would join the 187 students at Sankofa by the start of the 2020-21 school year. The school board is tentatively expected to vote on the proposal in May. Kaiser teachers said district officials informed them of the move last Wednesday, and told the school's families the following day. Sankofa teachers were not informed until Friday. Some parents and teachers at Kaiser have already expressed fierce opposition to the idea. "I think it's heartbreaking that they would take away a really beautiful, well-functioning school that is a choice for Oakland children and just end it," said Mary Grace McGhee, a second grade teacher who has worked at Kaiser for 14 years. But that's not how OUSD Superintendent Kyla Johnson-Trammell sees it. She’s billing the move as a way to give more students the opportunity to attend a good school. "Our goal is to put a high quality school in every neighborhood that's accessible to every family who wants their student to attend," she said in a statement to KQED on Friday. The proposed merger is part of Oakland Unified's contentious plan to close up to 24 of the district's 87 school sites in an effort to regain financial stability and improve school quality. In December, the district announced that Roots International Academy, a small middle school in East Oakland, would be the first school on the chopping block. Kaiser and Sankofa are only about three miles away from each other, but in many respects the two schools are leagues apart. Sankofa has an abysmal academic performance record: only about 4 percent of students met state math standards last year, while less than 8 percent met English language arts standards, according to state data. By contrast, well over half of Kaiser students met both math and reading standards. This discrepancy is not surprising given the schools' differing demographics: About 90 percent of Sankofa's students are economically disadvantaged, as compared to only a quarter of those at Kaiser. An ample body of research has found the strongest predictor of test scores in a school isn't teacher quality or curriculum, but rather the percentage of its students who live below the poverty line. Sankofa also has a much higher percentage of students with special needs: 17 percent vs. 7 percent at Kaiser. And unlike at Kaiser, the school reports having several homeless students and foster youth. "There's lots of trauma and food insecurity in our kids," said Marisa Mills, a Sankofa teacher. "We are academically failing, but we're not nothing, and we bristle at that idea. We have some extremely talented students. We’re also the hardest working teachers I’ve ever seen." The disparities between the two schools are also striking along racial lines. At Kaiser, roughly 22 percent of students are black, 17 percent are Latino and 34 percent are white, according to state data. By comparison, Sankofa is about 67 percent black, 13 percent Latino and 4 percent white. Mills said she's not surprised that Sankofa has been targeted by the district. The school narrowly escaped closure in 2007, and for years has performed poorly and been consistently under-enrolled. "We’ve been fighting so hard and so long to try to save Sankofa," she said. "There's a sense of inevitability." Mills raised some concerns about the possible merger, including the fact that Kaiser teachers and parents were notified about the plan first. She also expressed concern about whether Sankofa would remain eligible for Title I grant funding that's reserved for schools with high proportions of low-income students. But Mills said the merger could have real benefits for Sankofa's students if it's executed thoughtfully. Moreover, research suggests that socioeconomic integration is good for all students. It's far from clear, though, if the majority of Kaiser parents would warm to the move. Parin Shah's daughter is a fourth-grader at Kaiser and lives within walking distance of Sankofa. He said his family considered Sankofa before deciding Kaiser's tranquil setting was a better fit. "It’s a great learning environment, it’s incredibly diverse. It represents much of why we moved to Oakland," he said of his daughter's school. "To merge Kaiser with any school and rip that fabric apart brings up a mix of real deep sorrow and loss, and then anger turning to creativity about how we’re not going to allow that to happen." 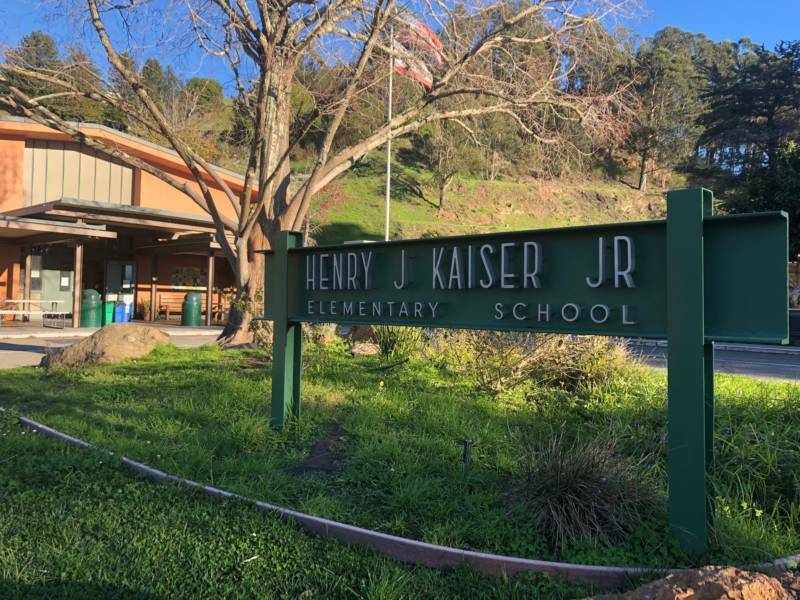 In justifying the merger, district officials point to a recent analysis that found relatively few Kaiser students actually live in the Claremont Hills neighborhood. But a significant number live in Sankofa's attendance zone. Shah said he's deeply distrustful that the district can actually pull off what sounds like a well-intentioned proposal. He thinks it should focus on improving Sankofa, not disrupt a school that's already working well. "The notion that a merger and bringing resources from one school and blending them with another will improve both is a little bit false," said Shah. He referenced an informal poll of Kaiser parents at a recent PTA meeting suggesting that many would pull their kids out of the district before sending them to a merged school. "We made a conscious choice to come to this learning environment," he said. “We’re ready to care for the community we’ve all created." According to the district, Kaiser parents who don't want to send their kids to the merged school may be able to take advantage of a policy being considered by the school board — what's being called an "opportunity ticket" that would give them priority enrollment at a school of their choice. But Kaiser fourth and fifth grade teacher Steve Neat, a 16-year veteran of the school, said he plans to ensure Kaiser parents won't have to look elsewhere. Neat said he was around when the district considered closing Kaiser in 2011 because of its small student body and limited potential for expansion. He credited a strong mobilization by the school community for saving it, and said he expects the same this time around. "We have families who live in every school board member's district," Neat said. "We have people who are very familiar with the legal system and know how to use it. We have people who don't play around." Still, there is some community support for the district's efforts to create quality options in the city's flatlands. Lakisha Young, who runs the parent advocacy group Oakland REACH has been working with Sankofa parents for months in preparation for a change at the school. She had expected Sankofa to merge with Peralta Elementary School, a high performing, in-demand school located just blocks away. The new proposal came as a surprise to Young, but she said her group will keep working to support Sankofa parents as it moves forward. "For us it’s ultimately about these kids getting a great education," Young said. "They could do something amazing on that Sankofa campus, but a lot of people don’t trust the system to merge schools and keep quality." She added: "At the end of the day, parents are going to be thinking about what’s best for their babies."